Photos from flickr, by PanelSwitchman. Older Nortel switch have some screaming 70s colors. 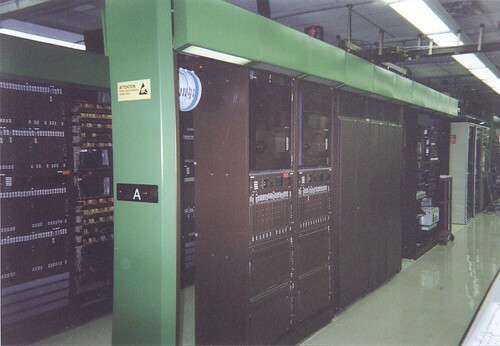 The DMS-100 is the bigger of the two Nortel end offices, and it’s green. The DMS-10 is the smaller one, and it’s orange. 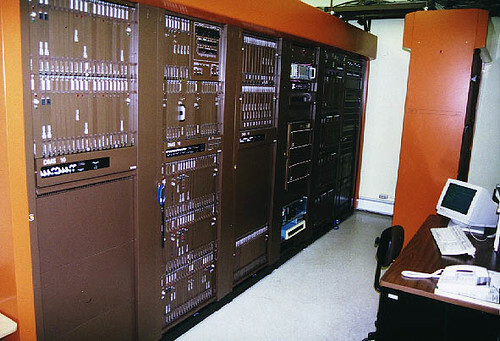 My company uses DMS-10s, and we even have orange and brown Nortel touch-up paint. I don’t know what color the DMS-200, DMS-250, or DMS-300 are, but I hope they’re equally as fabulous. I hear newer Nortel switches are grey, sadly. Recently, Google Maps has started returning search results for townships (probably since Google’s change to being their own geodata provider). As I love tiny dots on the map and obscure entities, this got me excited. In some cases, the township name will even show up as a dot with a link to the township’s Wikipedia article. I think this only happens when the township also has a town with the same name inside it. Townships can be found by searching by whatever uniquely identifies them, e.g. Chilgren for Chilgren Township, Lake of the Woods County, Minnesota, Laona, MN for Laona Township, Roseau County, MN, or Lincoln, Marshall, MN for Lincoln Township, Marshall County, Minnesota. The data for these features is coming from the USGS’s Geographic Names Information System (GNIS) database. I’ve put up a unique interface that combines that database with a few others, including databases of Canadian locations, zip codes, railroad stations, and telephone switch locations, at afiler.com/dots/. Want to see the list of every named place in Washington State? Or every place in the US and Canada named Springfield? Or even every place named Springfield in Georgia? The GNIS database lists 9 Springfields in Georgia, though only one is an incorporated city. The rest are so small, most don’t even get their name on Google Maps at any zoom level. Dots lets you dig into extremely obscure place names, and this lets me dig up other secretly searchable Google Maps place names. Townships are called minor civil divisions by the US Census and some form of MCDs exist in 28 states. MCDs have some sort of official government function (though often small) — they include urbanized areas (cities, towns, villages, boroughs), townships, New England towns, parish governing authority districts (Louisiana), magisterial districts (Virginia and West Virginia), election districts/precincts (parts of Illinois, Maryland, and Nebraska), supervisors’ districts (Mississippi), and “catch all” entities, when nothing else applies (assessment districts, gores, grants, plantations, purchases, road districts, and unorganized territories). I’m still exploring what MCDs, other than townships and cites/towns/villages are searchable in Google Maps. The other 22 states are divided into census county divisions instead of MCDs. These were created with the cooperation of the census and the state governments and may only be used for census tabulation or may also be used by county governments, for example, as electoral districts. MCDs are also are searchable in Google Maps. That means that you can find the census division of Early Winters in Okanogan County, Washington by searching for Early Winters, Okanogan, WA (or just Early Winters, WA, or even just Early Winters). Searching for Springfield, Canada will get Google Maps to display its most-expanded name (other times they’re shortened to City, Province or City, County, Province). Results include “Springfield, Division No. 12, MB” (the RM of Springfield, a local government unit, inside a nongovernmental census division), but also “Springfield, Woodstock, Carleton County, NB”, (a named place inside Woodstock Parish in Carleton County), and “Springfield, Swift Current No. 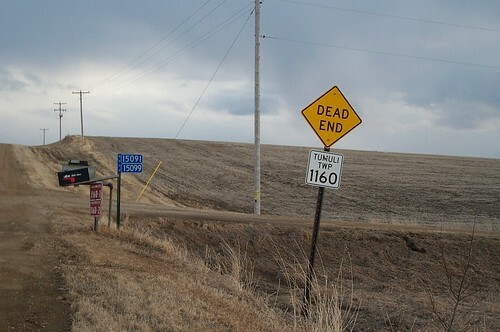 137, Division No. 8, SK” (a named place inside a rural municipality, inside a nongovernmental census divisions). The results from Google Maps appear mostly consistent with a search for Springfield at Statistics Canada. For even more obscure geodata info, check out the Census’s list of county subdivision types, or their maps of MCDs and CCDs, by state. There’s also an even more obscure geographic subdivision not used by the census, the hundred, in Delaware. The hundred once also existed in the UK (where some Local Government Districts took the name of a hundred), and Australia (where they’re still used in land descriptions as as one of the cadastral divisions of Australia). From the Telegraph in the UK: “Argleton, a ‘phantom town’ in Lancashire that appears on Google Maps and online directories but doesn’t actually exist, has puzzled internet experts.” The photo is from Picasa user Mister Roy, who walked and photographed the nonexistent place in February 2009. I’ve seen hundreds of Argletons in North Dakota. Of course, the difference is that North Dakota’s Argletons usually had, at some point in the past, a bit more concrete existence — though not necessarily that much more. 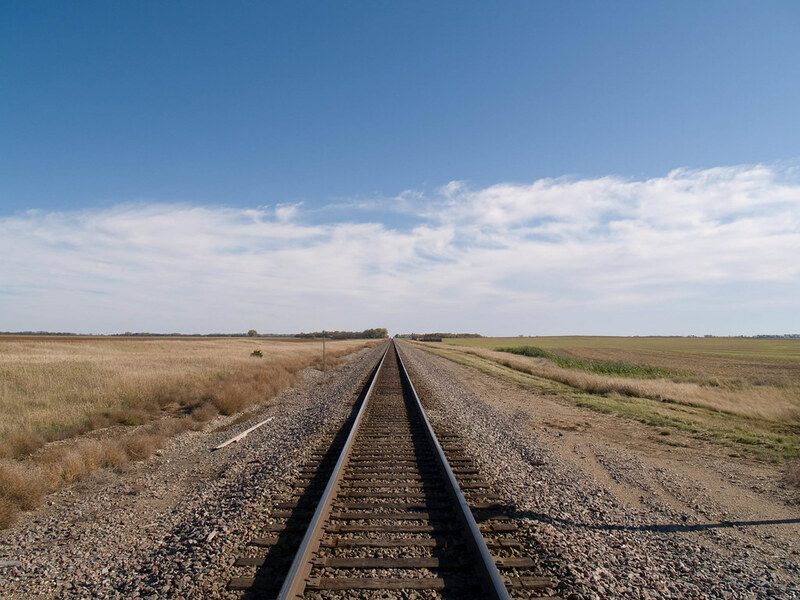 Some of the places I photographed were ever only a railroad siding or post office. If they were big enough to end up on USGS topological maps in the 1970s, they’ve now secured a permanent digital existence thanks to the place name database distributed by the US Board on Geographic Names. 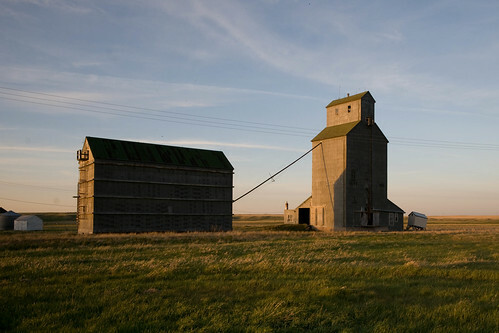 McGregor, North Dakota, originally uploaded by afiler. 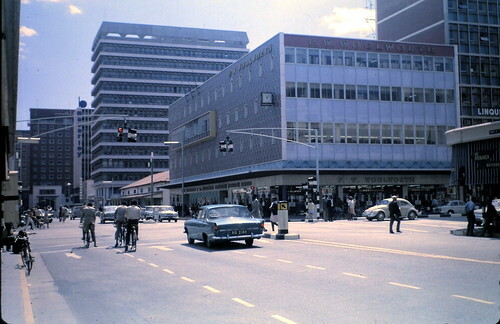 Salisbury, Rhodesia (now Harare, Zimbabwe), 21 August 1970, originally uploaded by allhails.